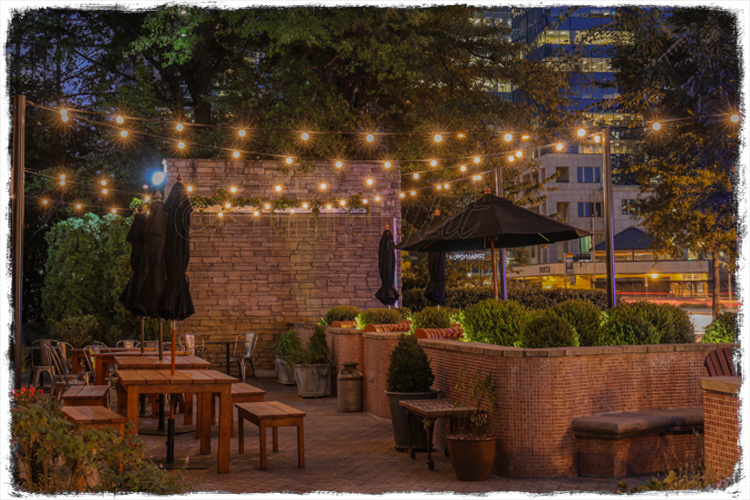 Bistro lights, also known as market lights, cafe lights, or patio lights, is a great way to add decorative lighting to your backyard or event. This simple, yet elegant lighting can be installed temporarily for a party or installed permanently for year-round enjoyment. Our temporary installations of market lights for weddings and events start at just $625 and can be installed for up to 7 days. We typically use the LED G50 bulb and can choose from a variety of light cords with different color and spacing between bulbs. A permanent solution starts around $750. These installations are wired with either a timer or switch, lights are secured to withstand the elements, and we can use a variety of commercial grade products. Wooden or metal poles are also available for rental installations and of course permanent installs. More photographs of the patio lighting can be seen in the Patio Lighting Gallery. 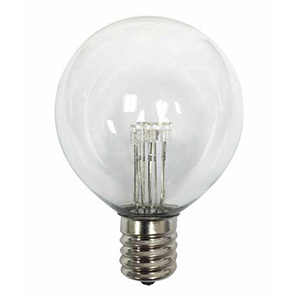 The G50 is a globe shape bulb which is most common for residential installations. 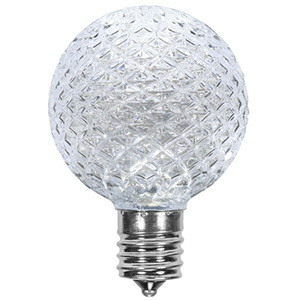 The faceted bulb is made of a shatterproof acrylic plastic and only used for our temporary installations. 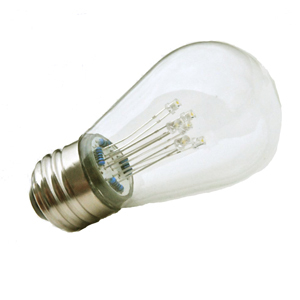 These bulbs are typically used in commercial installations such as restaurants and shopping malls. 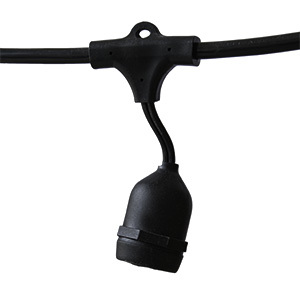 Only used for commercial installations with S14 bulbs. 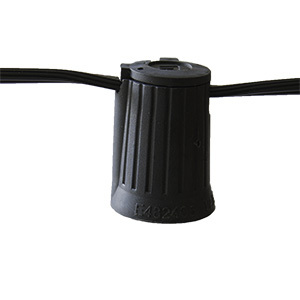 Used for permanent patio light installations. 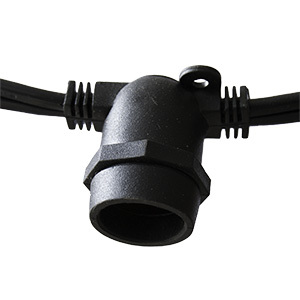 This C9 cord has a thicker insulation and is UV coated. This cord is used for our temporary installations and is the same cord used for Christmas light displays.